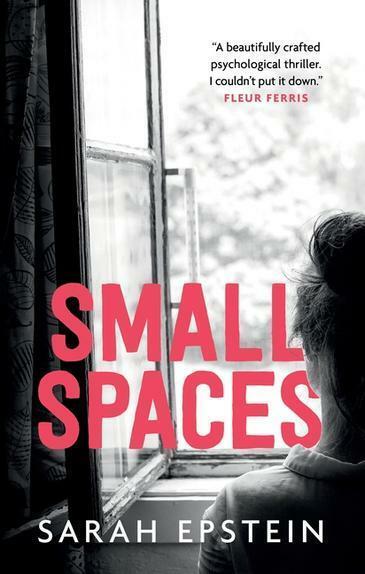 Small Spaces is one of the six books shortlisted for this year’s Readings Young Adult Book Prize. A lot of people have a fear of small spaces. Elevators, photo booths, changing rooms in clothing stores. Hedge mazes, enclosed water slides, narrow staircases, walk-in wardrobes. I mean, I get it – I avoid those things too. I can’t even lie in a bathtub without thrashing like a netted salmon. But sometimes I think the small space I fear most is the one inside my own head. ‘When Tash was eight-years old, she had an imaginary friend called Sparrow. Although ‘friend’ is the wrong word – Sparrow tormented Tash, and left her with lasting trauma. Now Tash is seventeen, and suddenly Sparrow is back, throwing Tash’s life into chaos. In order to survive, Tash has to face her deepest fears and figure out the real truth of what is happening to her. Sarah Epstein spent her childhood drawing, daydreaming and cobbling together picture books at the kitchen table. A writer, illustrator and designer, she grew up in suburban Sydney and now lives in Melbourne with her husband and two sons. Small Spaces is her first novel. Read more about the Readings Young Adult Book Prize 2018 shortlist here.